Usually, an upgrade or revamp is good news because it makes everybody's life easier. We get upgraded smartphones with bigger screens and faster processing power, for example, so we waste less time accessing applications, and are better distracted by smoothly streaming Korean dramas on the train ride to the office. This ideal of the pursuit of the better life seems to have fallen flat after the Singapore Exchange's (SGX's) latest revamp of the all-important "company announcements" section of its website, which went live over the weekend. The page, which retail investors use to get their corporate news and updates, is somehow less accessible and harder to understand after the change. The most baffling, unannounced change concerns real-estate investment trusts (Reits) and business trusts. Previously, someone who wanted to search for the announcements made by, say, Cache Logistics Trust, could go directly to the "company disclosure" section and search immediately for the name of the company. Now, one can access the information only after identifying and searching for the name of the company managing the Reit or trust, which can sometimes be very different. For example, investors know of Cache Logistics Trust as Cache, not ARA-CWT Trust Management (Cache) Limited. They know of K-Green Trust as K-Green, not Keppel Infrastructure Fund Management. Those who go to the "all-in-one" section of the disclosure page can still find the Reit's or trust's latest announcements by searching its traded name. But try to "read more" announcements, and the link is dead. If Singapore is to establish itself as a hub for business trust and Reit listings, a simple issue like accessibility of announcements should be improved. Moreover, the new layout is a design disaster. The main focus of the page no longer seems to be on the company announcements themselves, but on two large columns devoted to company names and security names. One good change made to searches for announcement periods is that instead of the confusing "last 13-24 months" and "last 3rd year" that people can search for past announcements, they can now search directly for "year 2013", "year 2012" and so on. But, there is still one big problem for investors who want to research a company's history: there is no option to search for company announcements in earlier years. A comparison can be made to Singapore's rival, the Hong Kong Exchange's company disclosure website (www.hkexnews.hk). There, the company announcements archive contains data all the way back to 1999. Finally, the SGX page itself seems no longer customised for mobile access. That should not be the case. More people are using their smartphones to access the Internet. Last weekend's change might not be all bad. Now, the site seems to take a shorter time to load. But the latest design changes are a step back, and the exchange should take a serious look at further improving its site. 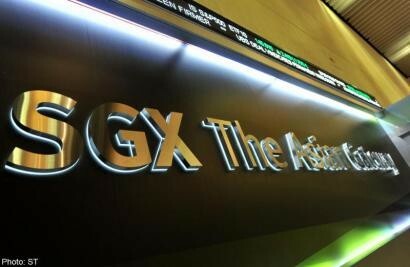 As the best place for investors to go to for information, and amid a drive to get more retail investors into the local market, SGX can do better in the basics. One can't get more basic than website design.